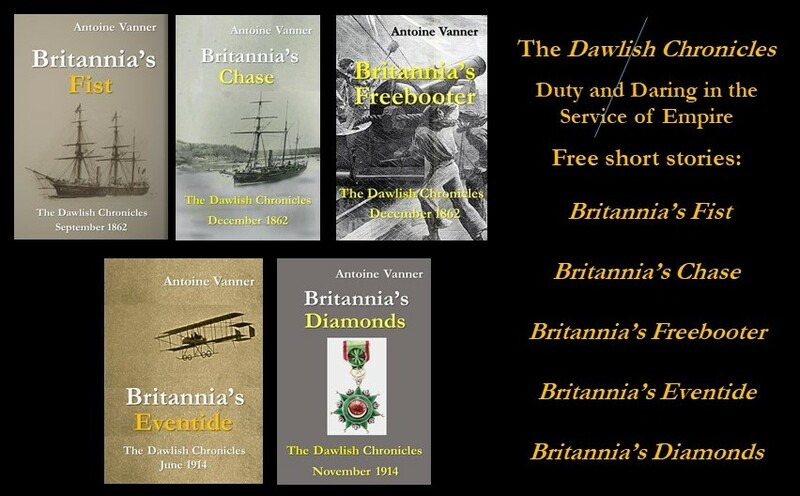 Close blockade of the coasts of French-occupied countries in the Napoleonic era was the most important weapon in Britain’s armoury. It may indeed also have been the single most important factor in securing Napoleon’s ultimate defeat. 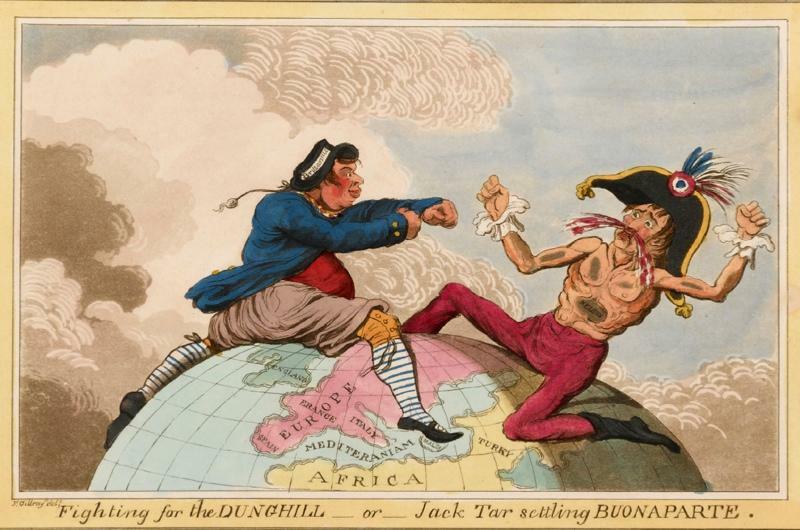 He all but acknowledged this by his remark during his exile of St. Helena: “If it had not been for the English I should have been emperor of the East, but wherever there is water to float a ship we are sure to find them in our way.” A superb example of this occurred in 1796 when HMS Southampton was part of the squadron blockading Toulon. For Jervis l’Utile represented a challenge. He signalled for Captain James McNamara (1768 –1826) of HMS Southampton to come on board Victory. McNamara an officer of known daring who was to establish an enviable reputation as a frigate-captain. HMS Southampton, his present command, was a “sixth-rate” of 670 tons, 124-feet long and carrying twenty-six 12-pounders and six 6-pounders. She had a crew of some 210. Jervis was well aware of the hazards of attempting l’Utile’s capture but he had obviously decided that if any man could manage it then it would be McNamara. He was not prepared however to give a direct order in writing and was prepared to allow McNamara a high degree of discretion. He pointed towards l’Utile and said “Bring out the enemy’s ship if you can, but take care of the King’s ship under command.” The implication was clearly that if McNamara found it too dangerous to persist then no shame would accrue from breaking off the attempt. 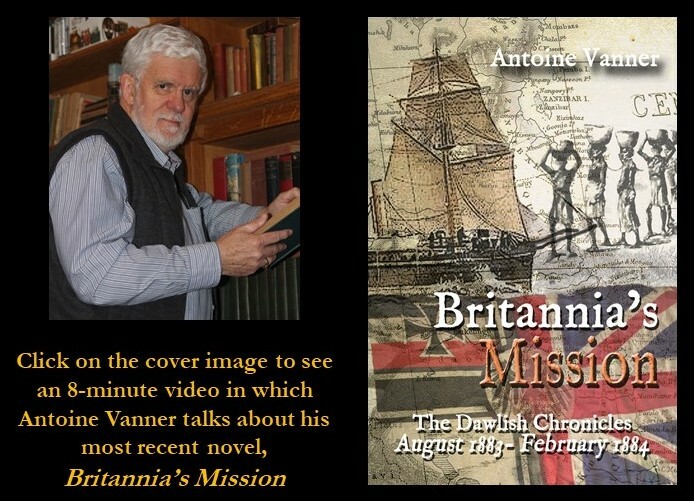 Presumably to get his prize away as quickly as possible – Fort de Brégançon had now opened fire – McNamara had the two vessels lashed together, HMS Southampton having sails set and the time needed to set them on l’Utile too great a luxury in the circumstances. It was quickly realised however that l’Utile was going nowhere. In the darkness it had not been seen that in addition to her anchor-cable – which can be presumed to have been cut free by now – she was also secured to the shore by a hawser. Lydiard found it and hacked through it by repeated blows of his sword. By one-thirty in the morning of July 10th both ships had emerged from the treacherous waters of the Grand Pass and had joined the blockading squadron. 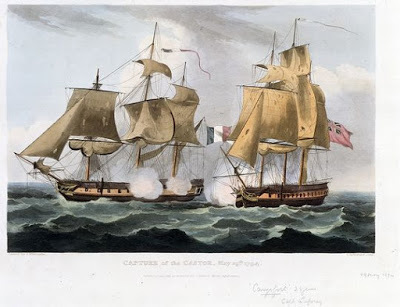 Lydiard was promoted to command of the prize and later, as captain of HMS Anson, was to distinguish himself in, in company with HMS Arethusa, in capture at Havana of the Spanish frigate Pomona which was guarded by twelve gunboats and, like l’Utile, by a shore battery. He was to win further praise by his participation in the capture of the Dutch base of Curacao. HMS Anson returned to Britain thereafter and was assigned to blockade duty off the French Atlantic coast. This was to bring Lydiard’s promising career to a tragic end. 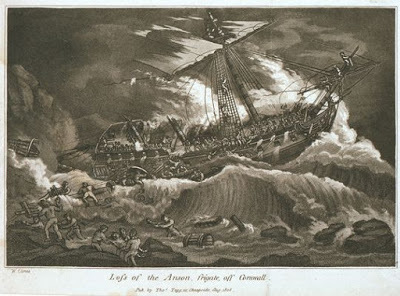 During a gale in December 1807 HMS Anson was driven towards the Cornish coast. Attempts to anchor failed and Lydiard attempted to beach her to save his crew. Many were able to get to shore along the fallen mainmast but Lydiard was among the 60 dead, remaining on board to get as many away as possible and at last being washed off and drowned when he tried to leave.